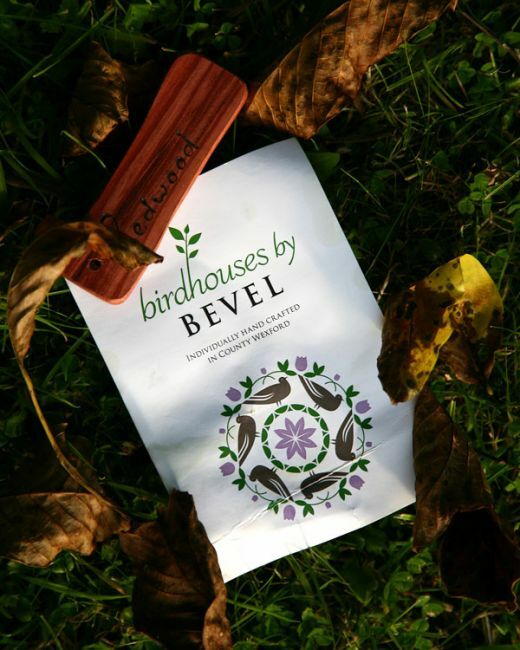 These birdhouses are handmade by Bevel Furniture from locally sourced cedar or redwood. Both of these woods are greatly valued for their resistance to Irish weather, insects and decay without the need for chemical treatment. The outside of the birdhouse has been treated with oil for appearance. For the safety of the adult birds and their young the inside of the house is left untreated. 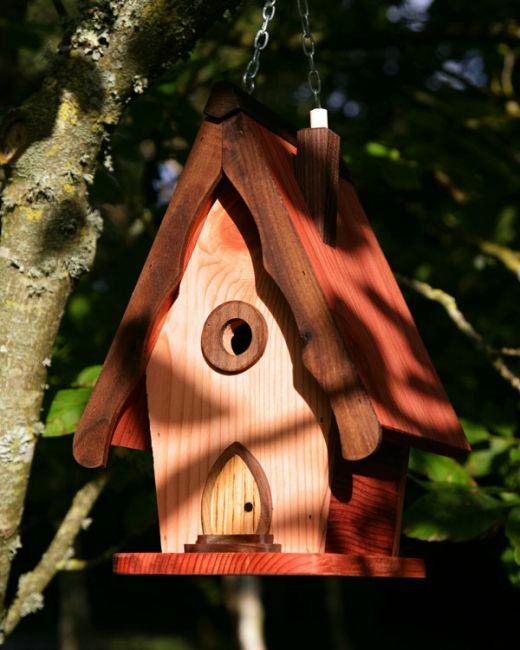 Place your birdhouse in a sheltered quiet and shaded area of your garden with the entrance facing north east. To care for your birdhouse, clean out completely each autumn after the young birds have left. A coat of oil to the outside of the birdhouse will help maintain its appearance.